We had some beer that was given to us that was not really our style so I opted to cook with it. 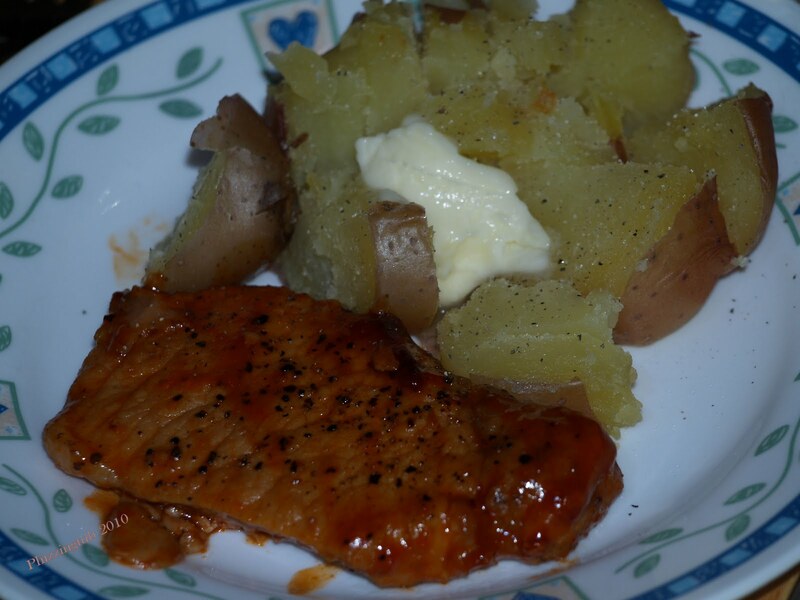 Super easy to put together and you are left with a nice full flavored sauce that is not very sweet. I did add some freshly ground black pepper on top of what was requested by the recipe. Sprinkle both sides of pork chops with salt and pepper. In a large skillet, brown pork in oil on both sides over medium heat. Combine the beer, ketchup and brown sugar; pour over the pork. Bring to a boil. Reduce heat; simmer, uncovered, for 18-20 minutes or until a meat thermometer reads 160. Per Serving (excluding unknown items): 203 Calories; 8g Fat (39.6% calories from fat); 21g Protein; 8g Carbohydrate; trace Dietary Fiber; 51mg Cholesterol; 445mg Sodium. Exchanges: 0 Grain(Starch); 3 Lean Meat; 1/2 Fat; 1/2 Other Carbohydrates. Us Brits cook with a beer alot, it goes so great with beef and pork, I may try this out thanks. It's been a while since I've written on my blog. However, this topic (Bullying, Victims, and Witnesses) has been on my mind for quite some time. When you have time feel free to stop by, read, and comment. Your feedback is greatly appreciated. Hope you enjoy the recipe it you give it a whirl Sarah. Nita - nice to see you again. I will check out your post.